Dr. Stephen McNeil and Dr. Owen McGonigle are highly experienced in the latest arthroscopic surgical techniques. Arthroscopy allows a surgeon to see, diagnose, and treat problems inside a joint while using a flexible, high definition camera. At McNeil Orthopedics, advanced procedures such as rotator cuff repair, superior capsular reconstruction, cartilage repair, ACL reconstruction, and hip arthroscopy can be performed using arthroscopic surgery. Dr. McGonigle is the only orthopedist at Good Samaritan Medical Center who performs hip arthroscopy. The benefits of arthroscopic surgery are clear. 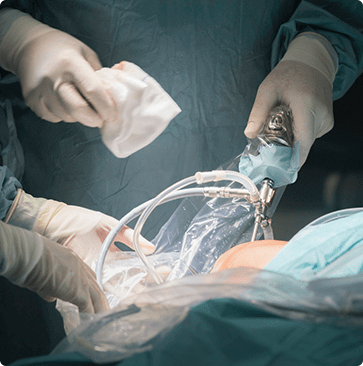 Considered a minimally invasive procedure, arthroscopy utilizes smaller incisions, which minimize tissue trauma and potential complications of a traditional, open surgery. Both surgeons and patients prefer arthroscopy for its promise of less pain, less scarring, and a shorter recovery period. If you’re in need of surgery, why not choose the most minimally invasive option available? Call McNeil Orthopedics in North Easton, Massachusetts, at (508) 205-9630 to schedule an appointment with Dr. McNeil or Dr. McGonigle to see if arthroscopic surgery is right for you, or you can request an appointment online.